After 6 months, I managed to find a good groomer for Rainbow. She is quite a drive away in Parow, but at least she is groomed professionally. 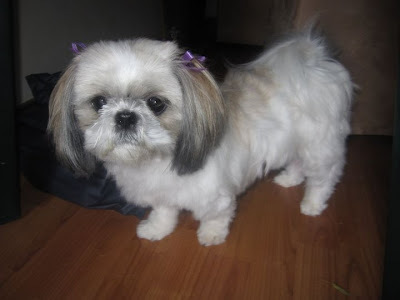 Meet Rainbow - after her grooming session with purple ribbons.